Hair is a living part of our bodies, and from time to time will experience some problems. Knowing what the most common maladies are and how to treat them (or, when to seek professional help) can help you keep your hair looking thick and strong for years to come. Hair loss is incredibly common, but is still a confidence sapping condition. Hair loss will happen to nearly half of men by the time they reach their 50s, and a third of women by the same age. By far the most common form of hair loss is a genetic condition known as pattern hair loss and once it starts, it will not stop. Pattern hair loss is caused by a hormone known as dihydrotestosterone (DHT), which binds to the sites around the hair follicles causing the follicles to close prematurely. It is a gene heavy process, and most natural remedies will not have a huge effect; hair transplants are the only treatment guaranteed to be effective. 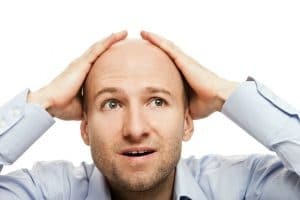 Hair thinning is often one of the early warning signs of pattern hair loss and can begin at any age and without warning. Monitor your hair carefully, particularly in the shower, to see if it is falling out at an advanced rate. Also check for hair thinning around the temples and hairline. Stress: Stress can weaken your immune system, change your appetite and adjust hormonal balances, all of which can affect hair follicles. Medications: Some medications, such as blood pressure medications, hormone adjusters and chemotherapy medications, can cause temporary thinning of the hair. Hormonal imbalances: Variations in the levels of DHT in the body will affect the strength of hair follicles – this is particularly common post pregnancy. Nutritional deficits: Iron deficiencies are a rare, but well-known cause of hair thinning. Though your hair is quite sturdy, it is surprisingly easy to damage! A lot of lifestyle choices can seriously affect the strength and texture of your hair. For example, washing hair too frequently (with unnecessarily hot water) can wash away the delicate balance of oils needed to keep the follicles protected and healthy. Excessively styling hair when wet can cause hair to become brittle, resulting in split ends and dull colour. Lastly, certain shampoos can irritate the hair follicles, which can accelerate the process of losing hair. Follicles are your hair’s support structure, and they can just as easily be damaged as the rest of your body. They are prone to infections if not properly maintained, resulting in a number of forms of folliculitis. If not treated in time, folliculitis can result in permanent hair loss, scarring around the follicles and other infections – if your follicles look red, bumpy or inflamed, it is best to seek professional help. As we age, our bodies regenerate skin cells – and the old ones fall off. However, some conditions can cause this process to happen at a much faster rate resulting in large ‘flecks’, which we know as dandruff. Dandruff has a number of causes, with poor skin care and fungal infections being the main culprits. Dandruff is not a threat to your health in any way; in fact, after diagnosis, it can be easily treated by a health professional.